David Marcus | Amazing Lookalike! On the left is David Marcus, Professor of Bible at the Jewish Theological Seminary. 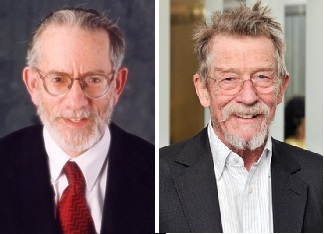 On the right is well-known actor John Hurt, whose acting roles included Max in Midnight Express and Jesus Christ in History of the World, Part I.